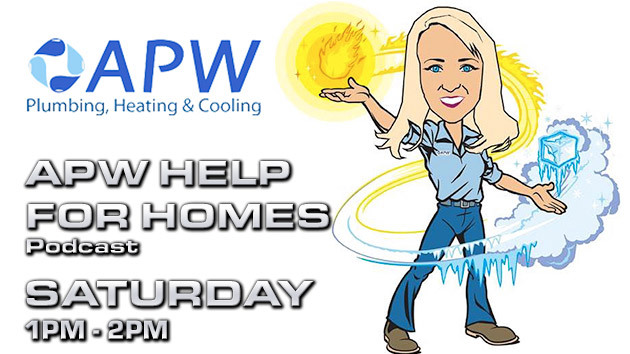 Come listen to “APW Plumbing, Heating & Cooling Help for Homes” Sunday at Noon. This show is focused on the “Dixie Difference”. What is the Dixie Difference? APW customers know! APW offers great value, with quality products, along with superior customer service and lastly, qualified technical technician to take care of you the homeowner with your plumbing, heating & cooling needs. Keith Ford and Dixie Williford host the show every Sunday from Noon to One. They explore many topics of interest to homeowners. APW Plumbing, Heating & Cooling has provided quality service to residence in and around the Kansas City Metro since 2002.